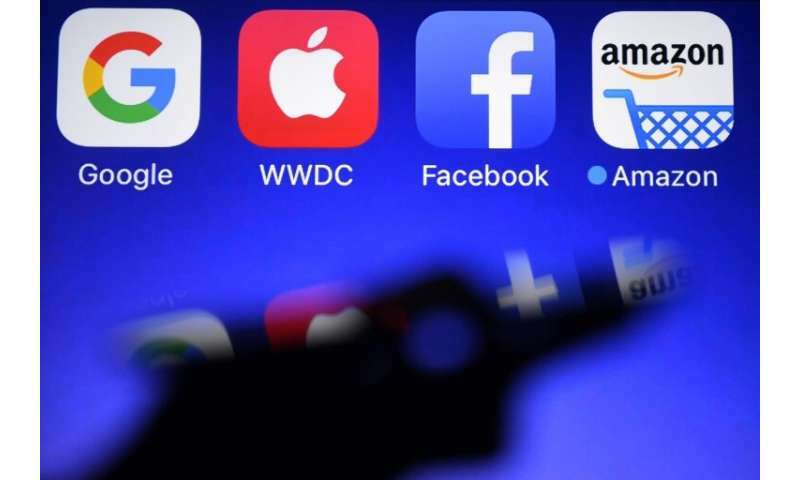 Divisions between EU countries could delay or derail plans to overhaul copyright law, an ambition that has set up a battle pitting media firms against internet giants like Facebook and Google. The European Parliament, the European Council and the European Commission had planned to meet on Monday to agree on a draft law, but scrapped the meeting at the last minute. "We take note that the Council needs more time to finalise its position," Commission spokesman Margaritis Schinas told a press conference, referring to the body that represents member states. The Commission, the European Union's executive arm, proposed reforms in September 2016 designed to modernise copyright for the digital age. But it has sparked a battle between media and creators seeking payment for online content against lobbyists defending the business model of the Silicon Valley giants backed by internet freedom activists. Several EU countries—including Germany, the Netherlands and Italy—on Friday blocked a council compromise text following a long debate among the bloc's 28 ambassadors. The stumbling block was over a provision that calls for YouTube and other platforms to better remunerate content creators and force them to remove any pirated content. Germany wanted small businesses and start-ups to be exempt from the need to pre-filter content while France did not, said Axel Voss, the deputy who is steering the legislation through parliament. "Countries that were not in any way satisfied with the copyright reform took Germany's side. It's of course very unfortunate," Voss said. Another bone of contention is a provision to create "neighbouring rights" for media publishers, sources close to the talks said. These would allow newspapers, magazines or news agencies such as AFP to be paid when their content is reused on line by news aggregators like Google News or social networks like Facebook. "On this provision, we were also not able to find a large majority among the member countries for one or the other of the two options on the table," one of the sources told AFP. Like the European Parliament, some want to exclude only hyperlinks while others want also to protect "snippets"—short news items that appear on search engines, aggregators and social media. The debate is over the size of the "snippet," such as how many words it has, as well as over its originality. For example, should a story headlined "3,000 killed in earthquake" be considered a simple matter of fact, or should the effort made by journalists to report it be recognised? Commission spokesman Schinas pledged to try to bridge the divide. "We shall continue our hard work as an honest broker to help the EU institutions, the council and the European Parliament, to reach a deal as soon as possible," Schinas said. Axel Voss meanwhile urged Paris and Berlin to overcome their differences over the exemption for starts-ups and small businesses. "Germany and France must now come to an agreement, which in my opinion can occur with some creativity and good will," Voss said. If a deal is reached among the three EU institutions, the European Council and then the parliament, meeting in full session, will have to sign off on a final version. But time is running out as the votes must take place before the elections to a new parliament in May, when analysts fear populist parties may increase their representation without sharing the same zeal for reform. No new date has been set for a meeting of the three institutions. The fundamental point of copyright is to do (or buy) the work once and then sell the same effort as many times as possible at the highest obtainable price each time, using the fact that each individual payer cannot be aware of all the other payers and therefore can't evaluate whether the price matches the original effort and cost. In the "best" case, the payer isn't even aware of the cost and cannot negotiate because they are paying the price through an intermediary who does not disclose the information. In short: copyright as a business model is about abusing psychology, withholding information, and hiding cost to milk the paying public into overcompensating the copyright holder. The payoff has nothing to do with the cost or value of the product. It's a gamble that sometimes works, sometimes doesn't, and it favors those who also own the publishing channels because they control visibility and thereby popularity.